I ordered 500 $ worth of motorcycle stuff -- I'm actually pimpin' my ride. Hence the big number under the Car and moto repair lign. My girlfriend had to put 200 $ more to buy additional bonds since it's RRSP contribution time. So our investment budget was busted! We were fined 160 $ by a zealous police-woman for turning in a restricted zone. Nothing to write moma about-- and no life's were endangered at any point during this episode! It was just plain and simple lack of judgement on this woman part. Hey, the can't teach common sense in school! What good comes out of this budget? Pimpin' my ride means my vintage bike is worth much more now (I reckon around 3 or 4 K$). So it's good for my Net Worth. The money my girlfriend used for investment purpose will grow her RRSP and Net Worth. I just received dividends from Royal Bank (RY.TO). I ended my drip program. I need the money for this non working period. RY has been doing amazingly well this past year. I bought it at 53 $ and it's now around 65 $. It's my bank and it's a position I'm very comfortable with. book, Millionnaire Teacher, and I have to say he makes a strong argument regarding indexing. I might succumb to the temptation of buying Bond Index since there is nothing cheap to buy on the stock market at the moment. If I were a millionaire, I would probably be indexing as well, while keeping 25 % in stock picking. Hey, a guy has to have a little thrill. I'm a millionaire, no? I'm only putting a small amount towards bonds right now, I'd feel more comfortable investing in individual bonds right now rather than an index only because when interest rates do eventually rise, whenever that comes, I feel the indexes are going to be hit because lots of regular investors will try to cash out because they're losing money forcing the manager's hands into selling at the worst time. I prefer picking my stocks at this point but that's because I'm focusing on DG investing and I think if you search for it you can find the values out there. Of course, to each his own. 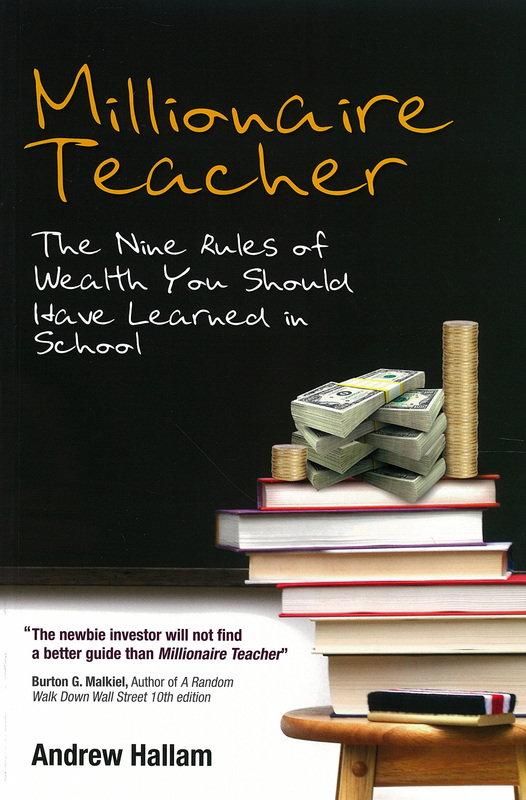 I've been meaning to get my hands on a copy of Millionaire Teacher. Guess I'll have to hit up Half Price Books the next time I'm home. Hey PIP! Great to her from you. I guess you make a good point about bonds at the moment. I haven't made a move yet. I'm still on the hunt about a good value investing stock. I know they are some good ones out there, but my strategy is to focus on no more than 12 stocks. I have my list and follow them some closely, but they are too pricey right now. The M$ Teacher is interesting, but then again you have to like the idea of Indexing. Having said that, they are a numbers of interesting things about learning to be frugal.